If the Brady bunch were couples,who'd make the best one? Which Brady kid is the best singer? Which Brady is your favorite? Picture hình ảnh of Brady's 1973 Chevrolet Caprice Convertible; Any location of pictures would be great. Ben Stiller as Mike Brady- Widower father with Post-traumatic stress from Afghanistan. Bradley Steven Perry as Peter Brady- troubled kid with ADHD. Extremely skilled in cooking. Joey King as Cindy Brady- Girl crippled from polio, but an amazing artist. Mason Cook as Bobby Brady- Excellent student with mild OCD, obsessed with the paranormal, and a type 1 diabetic. ()-first marriage- Divorcée mother, an overworked news reporter with problems with stress and a recovering alcoholic. Pilot Part One: Mike and Carol introduce their kids, announce there marriage, and Carol meets Alice. Pilot Part Two: The kids bond, Mike and Carol elope, and Alice starts dating the local butcher. Bulimic: Mike and Carol find out Marcia is bulimic, Peter starts cooking, and Cindy is ridiculed for her walk. Father's Day: Mike takes Peter, Cindy, and Bobby out for the holiday, Marcia and Jan visit there dad for the weekend, Greg talks to Carol about never knowing his father. 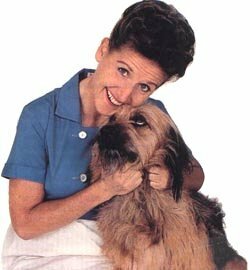 What was the name of the Brady's family dog? Why people like to stick to his computer today?